I hope 2015 is off to a good start. Things at SITAR are rolling, the compositions of various committees all set and preparations for this year’s conference well underway. I am excited to confirm that the 18th Annual SITAR meeting will be held in Toronto, Ontario, May 29-30. This will be the fourth SITAR conference in Toronto, and the three previous meetings have been among our most well-attended meetings. Unlike in previous years, this year’s setting will be in downtown Toronto, amidst an array of appealing venues for dining and other activities. Big thanks go to Marc Fournier and his colleagues for working out the details in Toronto, as well as to program chair Nicole Cain for planning the meeting. This year’s conference will feature keynote addresses by Tom Hollenstein of Queen’s University and Geoff MacDonald of the University of Toronto. 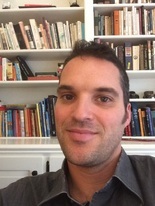 Professor Hollenstein’s work focuses on using dynamical systems approaches to data analysis to better understand socioemotional development during adolescence. Dr. MacDonald’s research focuses on the power of intimacy and the pain of rejection, particularly in the context of romantic relationships. We are very excited to have recruited these excellent speakers for this year’s meeting. As always, we are hoping to highlight student research at this year’s meeting. Students, please be sure to apply for travel grants and the Wiggins Award when you submit your presentations. Members, as you know we are able to support travel grants through your generous donations. On behalf of the Executive Council and the students, we appreciate your support. You can donate to this year’s student travel fund here. Complete information about this year’s meeting can be found on the conference website and more specific details can be found in Nicole Cain’s column in this edition of the Newsletter. I look forward to another exciting year for SITAR. If you have any questions comments about the society, this year’s meeting, or anything interpersonal, please don’t hesitate to email me (hopwood2@msu.edu).